Pianist Eileen Huang is a frequent collaborator with the Boston-area’s finest instrumentalists and vocalists. In recent seasons, Ms. Huang made her Rockport Chamber Music Festival debut alongside Boston Symphony Orchestra principal bass Edwin Barker and violinist Yevgeny Kutik, and appeared at the Tanglewood Music Festival with the Tanglewood Festival Chorus, conductor James Burton, and BSO Associate Concertmaster Alexander Velinzon. Ms. Huang is a rehearsal pianist for the Boston Symphony Orchestra and Emmanuel Music and an accompanist for the Boston City Singers. She teaches on the music performance faculty at the Massachusetts Institute of Technology, where she has been an Affiliated Artist since 2010. Also an accomplished soprano, Ms. Huang has been a member of the Tanglewood Festival Chorus since 2006 and has appeared as soloist with the TFC, Wellesley Choral Society, and Nahant Music Festival. 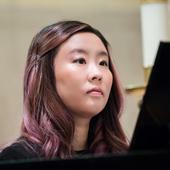 Raised in New Jersey, Ms. Huang made her concerto debut at age 11 with the Battleground Arts Center Symphony Orchestra and was featured as a chamber musician at Alice Tully Hall at age 17. She received her training at the Juilliard School and the Aspen Music Festival and School, where she studied with the late Herbert Stessin, and holds a degree in chemistry from MIT.